Home›Reviews›Sin City Rejects Bring on the Death of A Nation! 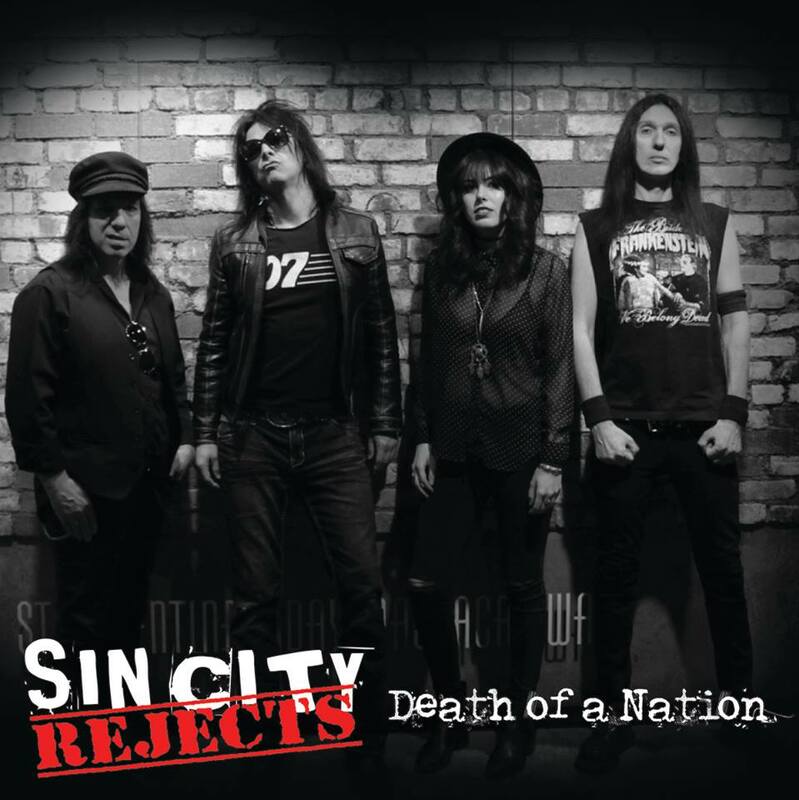 Death of a Nation is the first album release from Sin City Rejects, funded by their fans via a PledgeMusic event. After several months of the group playing around Vegas, the album is complete, much to the delight of their followers. 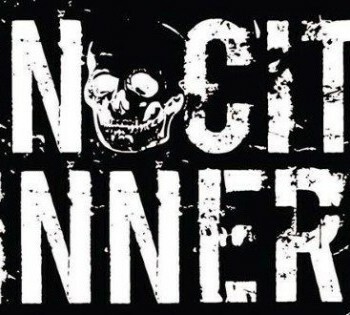 A Sin City Sinners spin-off band of sorts, the group features Scotty Griffin (former LA Guns bassist) on vocals, Sinners manager Jason Green on bass, and guitarists Rachel May and Johnny Roxx. The album features alternating drummers, including a guest appearance from Richie Ramone. The Rejects’ setlists in concert consist of a mixture of original songs and covers, with the latter mostly being old-school punk songs from artists like Dead Boys, Dead Kennedys, The Clash, and The Ramones. Though for Death of a Nation, the group gives audiences a release of original material, albeit with one rerecorded Sin City Sinners song. This is a short album, only clocking in at about half an hour, but in that fairly brief duration, there’s a lot to enjoy. It definitely feels more like a punk rock album than a lot of the so-called “punk” bands out there on the mainstream music charts today, though it doesn’t totally abandon the power-pop elements of Sin City Sinners releases either. 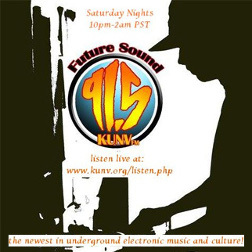 In these mere 30 minutes, the band shells out plenty of instant classic tunes. Most of the cuts on the album are three minutes in length or less, but there are plenty of highlights despite this. The opening title cut is a personal favorite, combining a classic punk-style sound with modern social commentary. “23” is an upbeat and catchy lament of the aging process. Tracks like “Mary Jane is a Punk” and “Stronger Than This” show off just how well these guys write songs, clearly influenced by the rock of the past, but putting their own spin on things. Haunting closer “(1638) The Darkest Night” is the band’s attempt at an “epic” of sorts, and makes for a memorable way to go out. I don’t know that it was necessary to re-record “If Mary Wanna” which Scotty Griffin had previously written/recorded for an older Sin City Sinners album, though there’s no denying it’s a fun song that should be heard. It’s brief, but it’s fantastic. 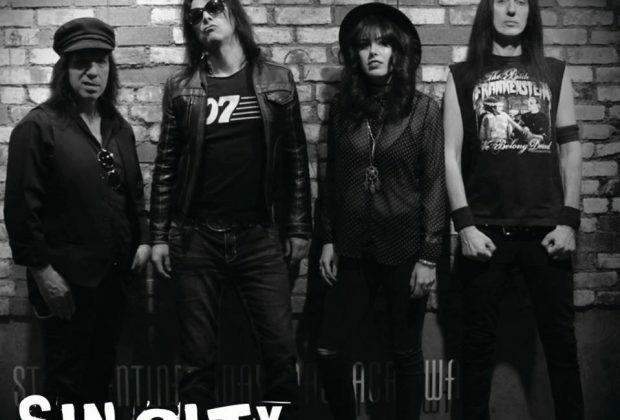 The first release from The Sin City Rejects is not to be missed, with a catchy sound and memorable tunes from musicians who deserve major credit for keeping this sound alive. A strongly recommended purchase!